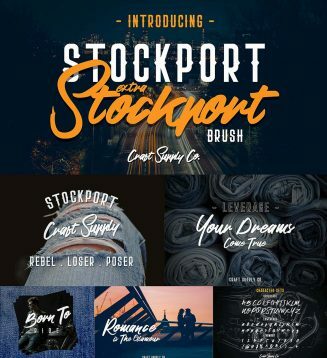 Introducing Stockport Extra and Brush – a cool combination between Sans Serif and Brush Script Font. Suitable for logo, greeting cards, quotes, posters, branding, name card, stationary, design title, blog header, art quote, typography art, modern envelope lettering or book design. 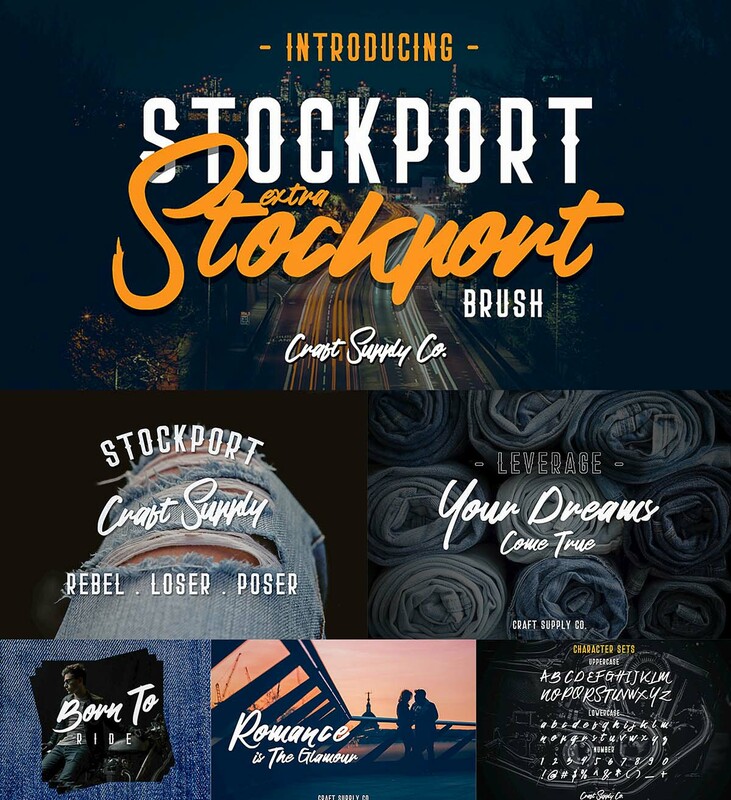 Tags: branding, brush font, calligraphy, font duo, hand lettering, sans serif, typeface, typography.